Never has it been so close, yet so far, at the same time. This is the perfect terrain. A flooded, deceased forest with limited secure refuge for wildlife, yet an abundance of fallen trees to hide and stalk your prey. There are countless stories and sightings of the elusive Gippsland Panther – the white whale of Victoria’s majestic bush. Everyone knows of its existence. We’ve all heard, or even experienced, at least one encounter. Now, for the first time in 50 years, the hunter becomes the hunted. Arnald Olsen, a former hunter from the Norwegian Scandes has opted for a life of solitude in pursuit of our iconic black feline that seeks haven in the rolling mountains of our region. With a landscape so expansive, so diverse, and with terrain so aggressive, knowing where to begin the hunt can be the biggest hurdle to overcome. What proves unique to the legend of the Gippsland Panther, however, is that every Gippslandian resident has their own chapter to add to the story. Thankfully, they’re all willing to share. known whereabouts of the infamous mountain cat, which shone a light on the origin of its existence. It is alleged that during the early to mid-1900s, a travelling circus company had vandals enter overnight and attempt to release some of the captive animals. Their only success had been freeing a pair of black panthers. With the average life expectancy of the genus falling between 12 and 20 years, it can be safely assumed that the original pair is long since deceased. Hence, it is their offspring (or cross-bred variants) that populate our backyard, if only sparsely, as only three to four individuals thought to be still alive. The fisherman continued to speak of his experience. Mere weeks ago, whilst angling trout from the shore of the Tanjil River, he returned to find his campsite raided and the daily catch missing. Initially assuming dirt bikers in the area had robbed him; he discovered the calling cards of the majestic beast upon closer inspection. He claimed to have spotted large, paw prints in the softer sections of the bank and even plucked dense black fur from the twists in his swag’s guy-wires. With that, it was obvious. If Arnald was to have any success in his quest for the animal, it had to begin on the riverbank of the Tanjil, and for he himself to remain undetected, the only method of access was the kayak. Sometimes you arrive somewhere, somewhere silent, and there’s a feeling in the air. There’s not a breath of wind or a sound to be heard. This should provide a sense of calm, yet the feeling is entirely the opposite. Silence is the sound of a predator, and every animal within the immediate vicinity appeared in a state of high alert. Within meters of beaching the kayak, his presence was immediately identified. Fresh panther tracks surrounded the fallen wood. Claw marks observed in a nearby log. There was an eerie sense of death lingering in the humid air. The panther was right here, and the hastily torn remains of a bird’s nest on the water’s edge confirmed this assumption. The bite mark was light, but clear – this animal’s jaw was big. Very big. An elaborate search of the landing zone led only to remnants of a recent encounter. The beast had disappeared. It was clear, this was going to be a long game and not one that could be overcome with just a single expedition. 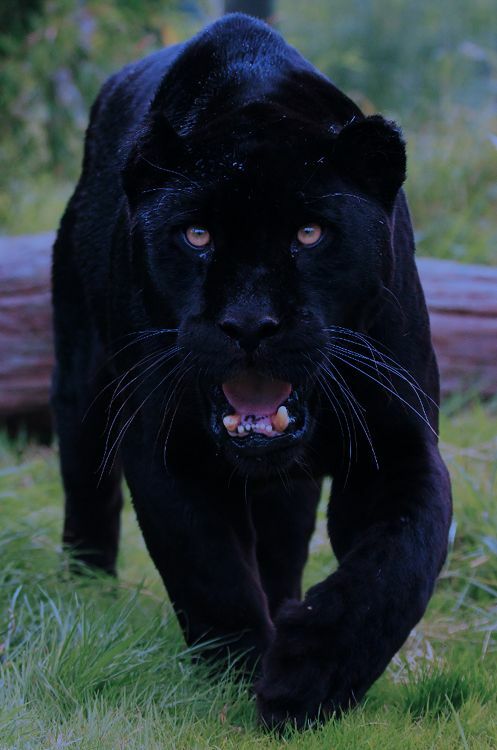 Help Arnald find the panther, and email your sightings to [email protected]. With thanks to Bryce Magnuson. Of course I’ve been entertained in Gippsland! But we need more voices sharing more of Gippsland's stories.